Johannesburg, 28 August 2018: An array of artists have been added to the sixth DStv Delicious International Food and Music Festival presented by Vodacom, who will bring the thrill of spring with fine food and great music to the Heritage weekend of the 22nd and 23rd of September 2018. Refreshing and on the cutting edge, these performers will add to what is the most anticipated annual musical ticket on the calendar. Rising youthful voice, Amanda Black will join a league of leading women on the Womandla set, on Saturday, 22nd September. She will be part of a festive celebration of the power of women in music and heritage alongside the ever elegant singer-songwriter, Lira whilst The cultural force of song, Simphiwe Dana will lend her magic to the main stage as well. These award-winning women have shaped much more than our musical world, but have stood up as shining examples of the creative power of women in the world. Liz Ogumbo, the Kenyan born singer-songwriter who is making her name as a fashion model and producer is billed to perform on Sunday, 23rd September with hits like Maro Pamore and Whatchyu Know About Her? Inspired by a wide range of music including Jazz, Soul, and even Hip-Hop, Ogumbo plans to leave behind a beautiful impression on anyone who will be listening to her music. The globe-trotting renaissance DJ, Miss Ducasse, who daresay single-handedly established Durban’s deep house music scene before taking to the world, will be bringing her old school House Music tunes to the stage. She will be opening both event days at the Vodacom Dance Arena hosted by Oskido and kaya FM, ensuring that the entire event embodies endless euphoria. Opening the main stage is the fast-climbing afro-soul star, Zethe who’ll bring the magic on Sunday 23rd September, sharing the stage with Erykah Badu who’ll close the Main Stage and festival. The KZN born talent has a background in Afro-Soul and Jazz and having studied Jazz at the University of KZN, this dynamite packs a POWERFUL voice. Sun-El Musician, the award-winning producer behind the infectious hit, Akanamali, is one of the newly confirmed list of performers too at the festival. 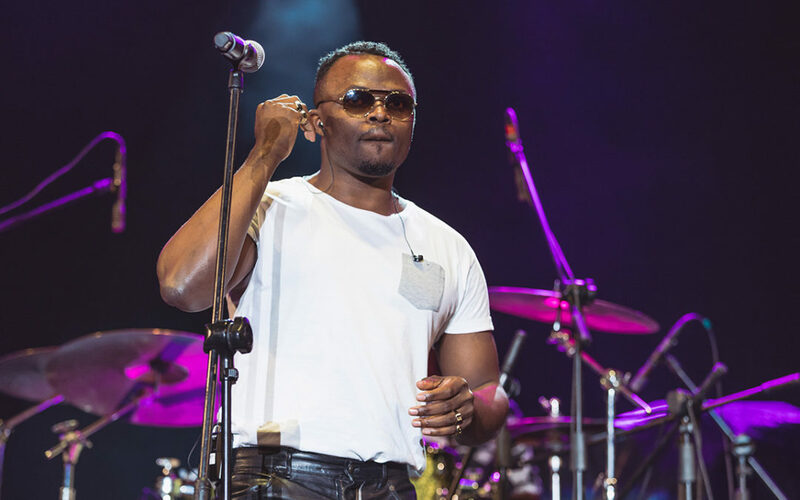 Both he and the Congolese-born multi-award winning and platinum-selling 2015 breakout singer-songwriter & producer, Tresor will give us a performance of a lifetime as they do a collaborative set on the festival’s Main Stage. These two powerful artists, known for their unique sounds and catchy melodies, will work together to curate a set exclusively for DStv Delicious International Food and Music Festival presented by Vodacom which will leave fans and patrons ready to groove the day away as they warm up the stage for Erykah Badu’s performance. The Ambassador Luxury Suite proudly brought to you by DStv Delicious International Food and Music Festival presented by Vodacom is a premium VIP experience with a succulent menu perfectly prepared by the hostess Lorna Maseko, paired with an intelligent set that’ll take you on a musical journey brought to you by DJ Kenzhero. This magical experience will only cost R4255 per person, per event day, or R7590 per person, full weekend. The VIP ticket includes access onto the VIP Hospitality Terrace and into The Ambassador Luxury Suite where you will enjoy the ultimate VIP experience hosted by Lorna Maseko and DJ Kenzhero. This comes with a private viewing deck with a sight of the Main Stage from within the suite, multiple LED screens with LIVE concert feed inside the suite and complemented by world-class catering with a bespoke menu as well as a private bespoke bar facilities offering local drinks and beverages. The Ambassador Luxury Suite also comes with VIP MIB Security, VIP toilet facilities, Barista-managed coffee station, music between sets hand selected and mixed by DJ Kenzhero, as well as a separate cash bar for all your premium spirits, champagne, and craft cocktail needs. Other stars set to headline the two-day fest at the Kyalami Grand Prix Circuit in Midrand on 22 and 23 September 2018 include the high priestess of neo-soul, Erykah Badu performing on Sunday 23rd September, and New Zealand’s rising icon multi-instrumentalist Jordan Rakei, who recently wowed local fans when he played his first-ever South African gig in Cape Town. The incredible experimental cross-genre outfit, Jazzanova Live, and the British acid jazz band, D’Influence are all set to perform on Saturday 22nd September 2018. Louie Vega and Todd Terry are headlining the Vodacom Dance Arena hosted by Oskido and Kaya FM with local legends Oskido, DJ Fresh, Vinny Da Vinci, DJ Christos, and Greg The Maestro. The partnership with Delicious Festival also gives DStv the opportunity to thank its customers and media for their loyal support, through the extended hospitality close to the Main Stage. Tickets for the Kids Zone start from R280 for children between the ages of 3-13. The Kids Zone includes PlayStation trailers with a Lego gaming village, giant inflatables featuring a fantasy castle, avalanche slide and two parachute rockets to name a few. Youngsters will be able to meet and greet and have their pictures taken with the PowerPuff Girls brought to you by Cartoon Network, whilst also standing a chance to take part in the Boogie Woogie Bake Off with fabulous prize giveaways from Lego, and be entertained by balloon sculptors, jugglers, face painting artists, and a magician. Please see more information on the ticket offerings below. Delicious GA Passes start at R650, but you can get your Delicious Early Bird GA Pass for R550 today, until the 31st August 2018! Visit our website www.deliciousfestival.com to find out more about our ticket offerings or SMS “tickets” to 33592. SMS costs R1.50. NO PERSON UNDER THE AGE OF 18 WILL BE PERMITTED INTO THE VIP TERRACE. DStv Delicious International Food & Music Festival presented by Vodacom in association with Visa, Coca-Cola, Heineken, Tanqueray, Johnnie Walker, Proudly South African, Gauteng Tourism Authority, Flight Centre, Gautrain, Jeep, Generosity Water, Kaya FM, and Independent Newspapers.